A duty of care is the responsibility that one individual has to another individual to act with a reasonable level of caution. When a person breaches that duty and causes injury to another, the injured party may be entitled to compensation from the responsible party. This is the scenario that exists under a variety of personal injury claims. From automobile accidents to construction site incidents, a party acted negligently in failing to meet a duty of care for another party. When hurt in an accident caused by another party, the assistance of an attorney is vital to adequately determining negligence and obtain damages. Count on an experienced Sumter personal injury attorney at McGowan, Hood & Felder, LLC, to guide you through the legal process. There are numerous types of accident claims, with varying degrees of injury and necessary medical treatment. However, some categories of personal injuries occur more often than others. Vehicle accidents are among the most common type of personal injury case, and they may involve a variety of vehicles, including cars, trucks, or motorcycles. These unexpected events sometimes lead to substantial physical, mental, and financial burdens for the injured party. Construction accidents are also common personal injury cases. As a construction site employee, you face significant risks every time you go to work, accounting for more than 20% of all workplace deaths. From falling objects to electrical hazards, construction sites are filled with dangers. If site owners or managers do not take proper safety measures, they may be held liable for the resulting injuries. Members of the public may also face risks when walking or driving near a construction site. Inadequately marked sidewalk hazards may lead to serious injuries. 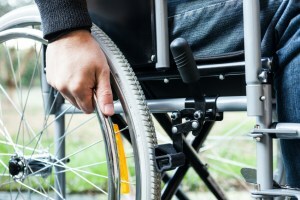 Another common type of personal injury claim is nursing home abuse. When we trust the care of our loved ones to a nursing facility, we expect that the responsible parties will ensure his or her wellbeing. Unfortunately, this does not always happen. Some studies estimate that nursing home abuse occurs in about a third of all facilities. Commonly reported problems include physical, sexual, financial or verbal abuse. Inadequate medical care and hygiene maintenance are also among the most common types of nursing home abuse. An experienced Sumter personal injury attorney at our firm has the skills and experience you need to handle any type of accident case. How do you prove negligence in your personal injury case? Breach of duty. The duty of care must have been breached by some action or failure to act. Our knowledgeable Sumter personal injury lawyers are prepared to help you through this process. We explain every step along the way, and fight to get you compensation for lost wages, medical bills, pain and suffering, and more. If your loved one was died in an accident caused by another’s negligence, our wrongful death attorneys will fight on your behalf. If you or a loved one has been injured because of the negligent actions of another, turn to McGowan, Hood & Felder, LLC. We have many years of experience handling these complex cases. Put our experience on your side in your personal injury matter. Call us today at 888-302-7546 or fill out our contact form to schedule a free appointment at our Sumter, South Carolina office.